The 510 PacBot was among the military robots that the newly formed Endeavor Robotics will focus on. BEDFORD — At iRobot Corp., the wars are over. The company first made a name for itself by building remote-controlled military machines that picked through the rubble of the World Trade Center after 9/11 and disarmed Taliban booby traps in Afghanistan. But in 2002, iRobot began selling a robotic home vacuum cleaner called Roomba, and today those home robots generate nearly all the company’s revenues. Shareholders noticed, and so did management. And so in February, peace broke out at iRobot. 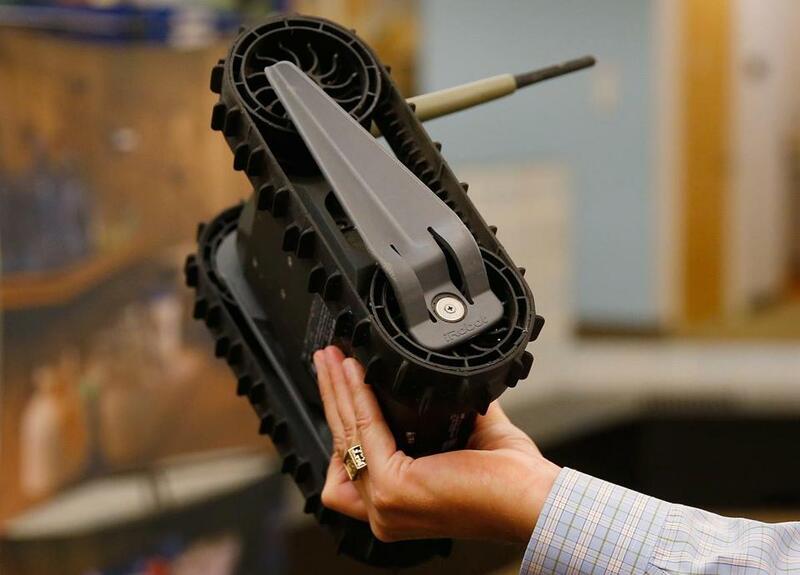 In a deal worth up to $45 million, the company sold its defense and security division to the private equity firm Arlington Capital Partners as a new company, Endeavor Robotics. The breakup frees Endeavor and iRobot to pursue very different strategies for future growth. Endeavor is counting on a big surge of new military orders. As older machines are retired, the Pentagon is planning to upgrade the fleet. And since Endeavor is already the Pentagon’s primary supplier of ground-based robots, with over 6,000 units sold under the iRobot brand, it is well positioned to compete for the upcoming contracts. For example, the US Army expects to buy hundreds of camera-equipped surveillance robots small enough to fit in a soldier’s backpack. These can be tossed through a door or window, then steered remotely around a building to check for booby traps or enemy soldiers. IRobot already makes a machine like this, called the FirstLook. The Army is also in the market for a 150-pound robot similar to iRobot’s current PackBot machine, for use in surveillance and bomb disposal. 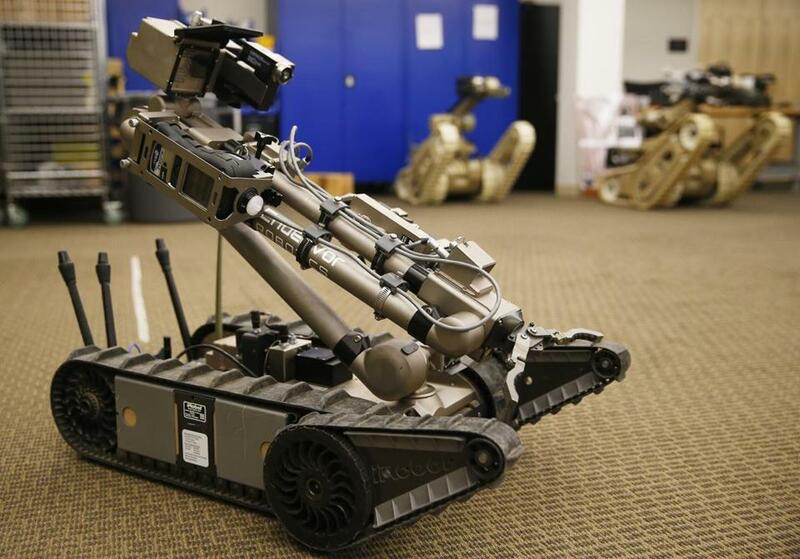 Finally, the US Navy wants its own fleet of bomb-disposal robots. The lightweight 110 FirstLook Robot was being developed at the newly spun off Endeavor Robotics. The Defense Department is expected to request bids on all three of these programs by the middle of 2017. Endeavor plans to pursue each one. No dollar amounts have been announced for the programs. But a Pentagon spokeswoman said that the Army plans to buy 567 of the 150-pound robots over five years. A similar PackBot costs around $100,000, so that contract could easily run into the tens of millions of dollars, with additional revenue for spare parts and customized features like radiation sensors or chemical sniffers. “It’s not a giant marketplace, and it certainly won’t have the impetus behind it we saw during the gulf wars,” said Dan Kara, a robotics analyst for ABI Research in New York. Frost said the company is enhancing its current products with a laser mapping system that will enable a robot to quickly generate a map of its environment, then relay that data to other robots. Troops armed with tablet computers would be able to deploy robots to multiple locations by simply touching locations on the map. Associate Software Engineer Nick Otero showed the map that the 310SUGV Robot was creating as it rolled down the hallway at Endeavor Robotics. Five years ago, when iRobot posted revenues of $465.5 million, 36 percent of it came from its sales to the US government. By 2015, revenues had surged to $618 million, but federal sales accounted for a mere 5 percent of the total. While Roomba sales soared, the US military slashed its purchases of military robots as the wars in Afghanistan and Iraq wound down. A major iRobot investor, Red Mountain Capital Partners, had been agitating for a breakup for months, but Angle said the decision had already been made. “It took us a good two years to find the right buyer,” he said. 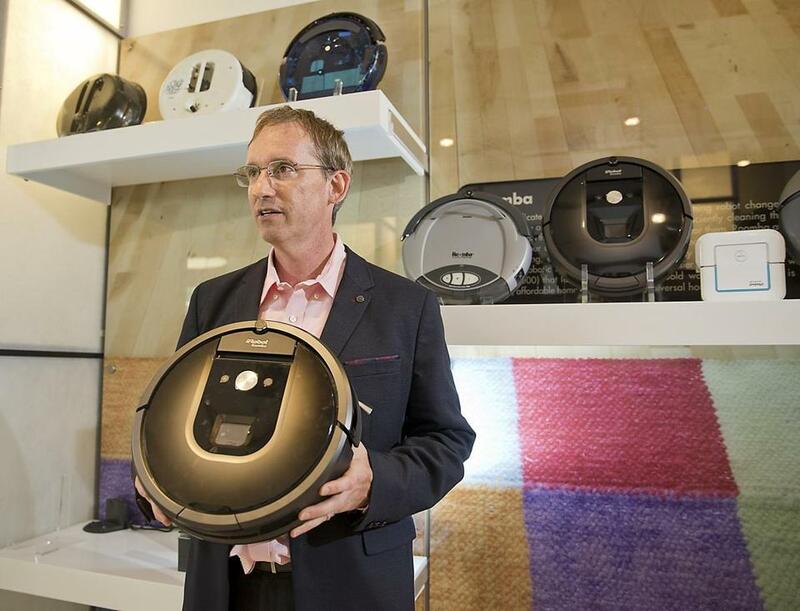 Meanwhile, iRobot sold 2.4 million home cleaning machines last year, up from 2.1 million in 2014. According to ABI Research, the overall market for such robots will quadruple over the next decade. The firm is counting on Asian markets for much of its future growth, especially China, where most homes have uncarpeted floors. Enter the Braava Jet, a $200 floor-mopping machine that’s sold in the United States, but was especially designed for the Chinese market. Like an Endeavor military robot, the Braava Jet maps the house as it cleans, to make sure it doesn’t go over the same area twice. The Braava Jet uses special cleaning pads that absorb floor dirt; the user can eject the pad without touching it. “We’ve made it easy and clean,” said Angle. The firm’s earlier mopping machines haven’t been big sellers, but Angle believes the new Braava Jet will become a major hit. “We think we’re going to have a very material second income source,” he said. Angle is also using his robots’ mapping abilities in a radical new way. Future Roomba and Braava machines will map the location of a home’s intelligent devices, such as smart TV sets, networked audio systems, even light bulbs, and share that information with a central controller. As consumers add more and more smart devices to their homes, the robot will keep track of them all while it tidies up the floor. “The smart home wants to know where everything is and where you are,” said Angle. “The Roomba’s part in this is to make the map of your house, figure out where everything is.” That way, when you enter the living room and say “turn on the TV,” your smart home won’t turn on the bedroom set. The success of this plan depends on whether consumers embrace the vaunted “Internet of things,” in which dozens of everyday device are connected to the home’s digital network. But Angle thinks it’s bound to happen. And the spinoff of Endeavor Robotics proves that he’s quite willing to go his own way.